Did you guys remember Dawon, Nandi and Airavata? We promised that we will show two more mythical beast that will be featured in the game, Mayura and Garuda. Mayura In mythology, Mayura is created from Garuda’s feather and serves as a conveyance of the god Kartikeya, Hindu god of war. 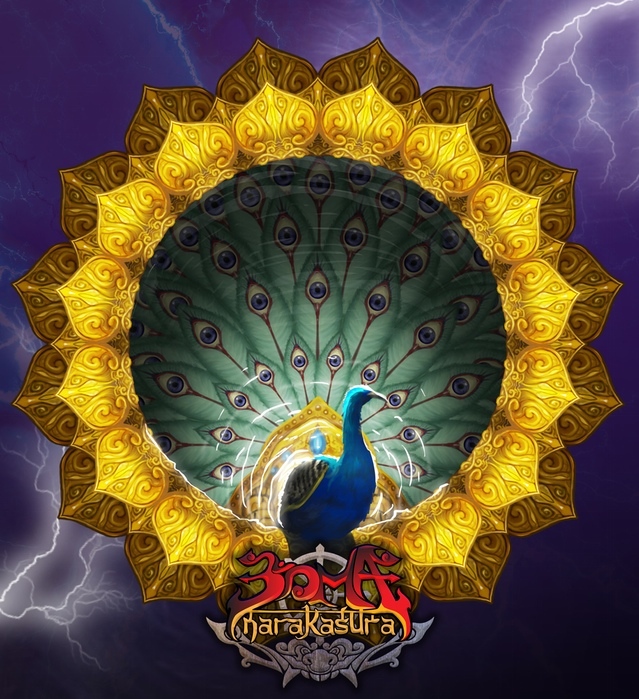 Mayura concept in this game is inspired of Indonesian green peacock which is considerably native to Indonesia and now has become an endangered species. 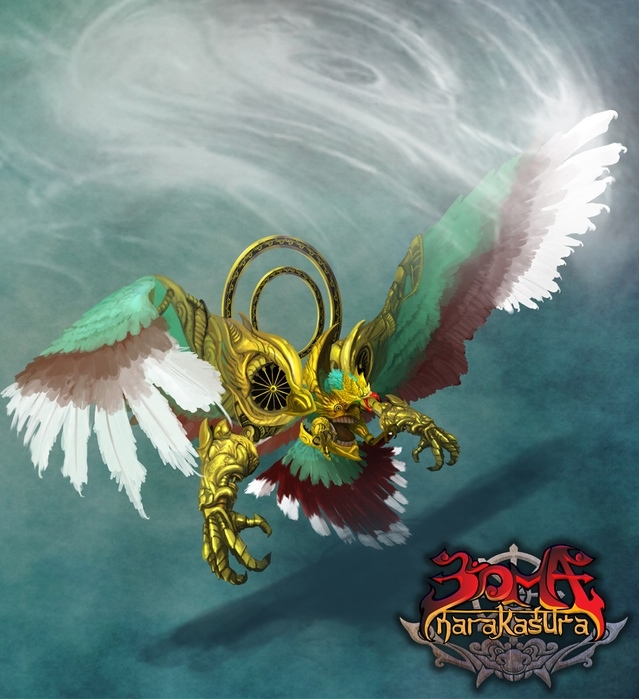 Garuda is vahana (means as carrier) of Lord Vishnu and the strongest mythical beast in this game. According to the legend, when Garuda was born the three cosmic was shaken and about to crumble. The gods were afraid and ask Garuda to suppress his power. The born of Garuda is often compared to Toba Supervolcano which happened 74,000 years ago and brought the world into ice age. Toba is located in Indonesia and yes, we sit right in the middle of the infamous Ring of Fire- is an area in the basin of the Pacific Ocean where a large number of earthquakes and volcanic eruptions occur. In a 40,000 km (25,000 mi) horseshoe shape, it is associated with a nearly continuous series of oceanic trenches, volcanic arcs, and volcanic belts and/or plate movements. It has 452 volcanoes and is home to over 75% of the world's active and dormant volcanoes. Thus Garuda becomes Indonesia national emblem. For the whole history of Indonesia, every kings, now and then use garuda as a symbol of authority. Garuda is an important figure in Southeast Asia, as Southeast Asia countries shares common mythology. We also would like to tell you that mythical beast give special abilities for Sveta and Boma. If you have played the demo, you might noticed that Sveta has the ability to do double jump and dash. These abilities came from the Mythical beast Dawon for double jump and Nandi for dash, while Airavata will give Sveta the dodge ability, Mayura will give Anchor ability, and Garuda will give Glide ability. With this ability, Sveta will be able to cancel her attack animation and dodge backward to avoid enemy attacks, especially bosses attacks. You will find many special node like this throughout the game. With this ability, Sveta can activates the node to jump to unreachable places. With this ability, Sveta will be able to glide and reach faraway places. The animation above are still in early stage of development, we will appreciate feedbacks! Cheers!